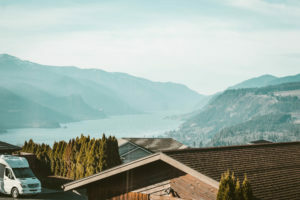 Curtis Homes is proud to provide the highest quality product with the comfort of a local business in the Columbia River Gorge and Central Oregon. Our team has grown over the past year and we’re excited to spend 2019 working hard for our clients, honing our craft and continuing to build beautiful homes for families. Cheers to a new year! Curtis Homes built a rustic style home in White Salmon, Washington. The home features impressive wood beams, a re-claimed barnwood wainscoting in the main living areas and wood accents wrapping the exterior of the home! Builder Cameron Curtis commented, “the home is a one-level with wood accents that turn-up the character and style of this beautiful house.” The built-in hutch and shelving continue to add to the character of this home build. To see more photos of this home on our Houzz account!